Health Minister Eric Hoskins says a "care co-ordination service" for medically assisted death will be up and running as early as May. Ontario is setting up a new service for people seeking medically assisted death that will allow them to reach out for help directly, bypassing health-care providers who object to assisted suicide on conscience grounds. 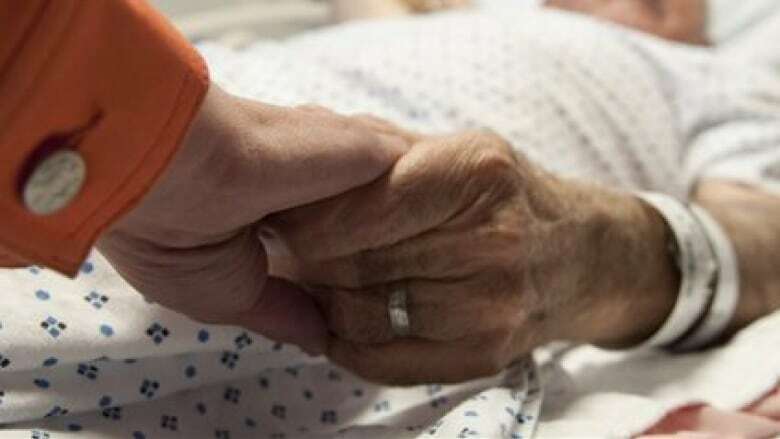 The service will allow patients to contact central staff who will connect them with health-care providers prepared to handle requests for a medically assisted death. "That patient, or their family members or their caregiver would have the ability to be in contact with the care-co-ordination service directly," Hoskins said. "They would then, through that process, that phone call or email, be linked into all of what's required. If they chose medical assistance in dying, they would be able to follow that through to completion." The new service will come approximately a year after medically assisted dying was made legal in Canada. According to the minister's office, 365 Ontarians chose to end their lives with medical help between June of 2016, when assisted dying became legal, and March 30, 2017. In June, the Ministry of Health had set up a line for doctors to call to refer patients to physicians willing to work on assisted death cases. Doctors are required by the province's College of Physicians and Surgeons to make a referral if they are unwilling to handle a patient's request personally. However, physicians with moral and religious objections to assisted dying have told the provincial government they don't want to make that call, because they see it as helping their patients end their lives. The advocacy group Dying with Dignity has been tracking cases where patients have faced road blocks to accessing assisted death. For example, the group uncovered documents about a patient who was at the Hôtel-Dieu Grace Healthcare in Windsor, Ont., and had requested a medically assisted death. Hôtel-Dieu had refused to perform the procedure, and the Windsor Regional Hospital refused to accept the patient transfer, so hospital staff reported the patient had been "left without options," the group said. The Windsor Star reported the patient died of natural causes in hospital before a health-care provider could be found to help. Hoskins said that situation would have been avoided if a care-co-ordination service had been available for the patient to access directly. Certain religious and medical figures who testified last week at a Queen's Park committee support the care co-ordination model, and called for an end to the requirement that doctors refer patients seeking assisted death to a physician who will help. Dying With Dignity CEO Shanaaz Gokool said Ontario's new care co-ordination service will be an improvement, but her organization wants to see the provincial government repeal a section of legislation passed last year that allows faith-based organizations to opt-out of medically assisted dying as a whole. The legislation means some patients in religious hospitals and hospices have to go through the process of transferring facilities if they choose assisted death, which, in some parts of the province means travelling a long distance or waiting too long for a bed in another institution, Gokool said. "If you're in a facility and they're refusing to assess you, and refusing to help you, and you can't help yourself, who's going to do that for you?" she said.